The Murderbot Diaries by Martha Wells. The Murderbot Diaries comprise the books All Systems Red, Artificial Condition, Rogue Protocol, and Exit Strategy. The books tell the story of a fearsome SecUnit, a cyborg who has hacked its governor and could become a rage-filled murderous killing machine. Instead, all it wants to do is to be left alone to watch TV. Murderbot, as it calls itself, takes on jobs providing security for various human contractors, and is baffled by humans’ inability to keep themselves alive. 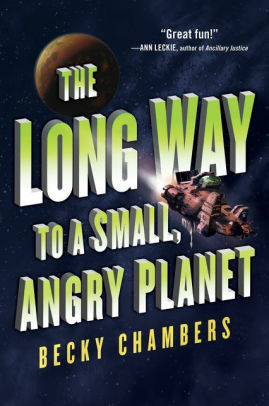 The books are poignant, hilarious, and thrilling, and are a commentary on humanity at its best and its worst. I highly recommend the series. The Mere Wife, by Maria Dahvana-Headley. A retelling of Beowulf but so much more. The Mere Wife delves into the poem in a way that doesn’t just place Beowulf in a modern setting but provides additional insight into the story. 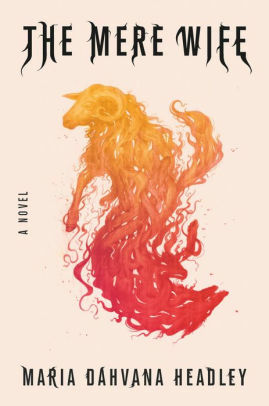 I loved this book, and I’m looking forward to re-reading. 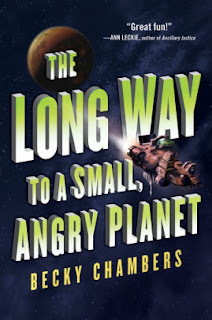 The Long Way to a Small, Angry Planet by Becky Chambers. This is my current read and I am enjoying it immensely. What I love is that all of the characters like each other. They aren’t goody-two shoes or anything like that, but they work well as a team, and they like each other for their differences. It’s a very accepting book. But don’t get me wrong, there’s plenty of conflict and plot, as well as humor and romance. 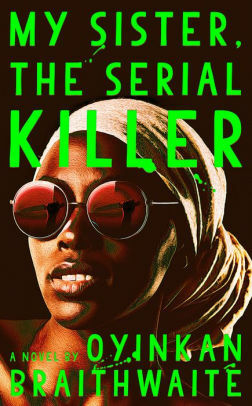 My Sister The Serial Killer, by Oyinkan Braithwaite. Loved it! 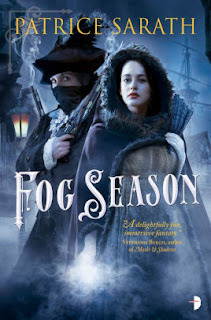 This fast-paced thriller kept me on the edge of my seat. I don’t want to say too much about it, because I don’t want to spoil anything. I recommend it as a quick read.